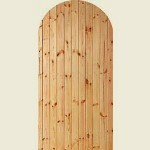 We offer a wide range of traditional and contemporary garden gates and fencing. We also offer a wide range of arbours, trellis, arches and gazebos, these categories are being compiled and will be available shortly. We also supply a range of sheds and outbuildings, with many off the shelf options, and custom made designs. In the meantime, please contact us by phone on 0845 812 0845 or fax 0845 812 0844 with your requirements. Order online for delivery to Dereham, Norfolk. NR19, postcodes. Countrywide deliveries and 'Click & Collect'.